Cannabichromene, or CBC, doesn’t get a lot of praise or attention, but it has shown to have profound benefits. Similar to cannbidiol (CBD) and tetrahydrocannabinol (THC), CBC stems from the all-important cannabigerolic acid (CBGa). From there, enzymes cause it to convert into or cannabichrome carboxylic acid (CBCa). In this case of CBCa, it passes through the CBC synthase (the enzymes that gets the specific process underway). Over time, or if exposed to heat CBCa with break down and become cannabichromene, through a process known as decarboxylation. Antimicrobial – CBC Fights Bacteria and Fungi. It exhibits “strong” antibacterial effects on a variety of gram-positive, gram-negative and acid-fast bacteria; CBC shows “mild to moderate” activity against different types of fungi too. Anti-Viral – It may play a role in the anti-viral effects of cannabis. Anti-inflammatory Properties – CBC can reduce edema (swelling) as well as inflammation of the intestinal tract. CBC appears to fight inflammation without activating cannabinoid receptors, CBC produces a stronger effect when combined with other cannabinoids. Analgesic – Reduces pain, although it is not as strong as THC. CBC contributes to the overall analgesic effects of cannabis. CBC fights pain by “interacting with several targets involved in the control of pain” at the spinal level. CBC is non-psychoactive, scientists are hopeful that these cannabis compounds can be used to treat pain – without the high. Anti-Depressant– It fights depression. CBC and a number of other cannabinoids may “contribute to the overall mood-elevating properties of cannabis.” It doesn’t seem to activate the same pathways in the brain as THC. Stimulates Brain Growth – CBC appeared to increase the viability of developing brain cells – a process known as neurogenesis. Anti-Proliferative – inhibits the growth of cancerous tumours. This could be a result of its interaction with anandamide (an endocannabinoid, which means our body produces it naturally). It affects the CB1 receptors, as well as the CB2 receptors, and has been found to fight against human breast cancer. CBC inhibits the uptake of anandamide, which allows it to stay in the bloodstream longer. Migraines – CBC has also been a successful remedy for migraines. Where Can I Find CBC? CBC is a minor cannabinoid that can be found in the cannabis plant which makes it difficult to obtain in large quantities. 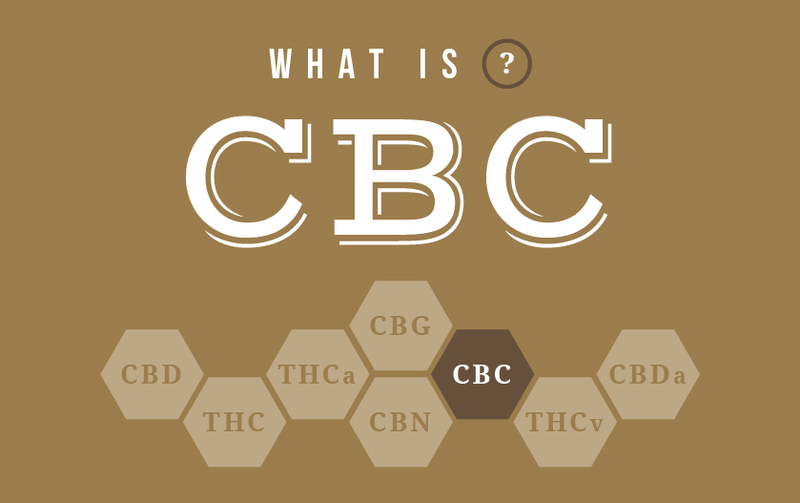 Generally CBC is found in only tropical strains of cannabis. At FARM all forms of phoenix tears will have CBC, more specifically, the Viridesco Phoenix Tears, and the Medibloom: Lyme Aid Phoenix Tears contain a tested CBC amounts. Speak to any one of FARM’s knowledgable budtenders for dosing information, and other CBC alternatives.